Renee Zellweger is an American actress, voice artist and producer. She was born on 25th April 1969. Zellweger first gained the attention of many people for the role she played in the film Jerry Maguire in 1996. 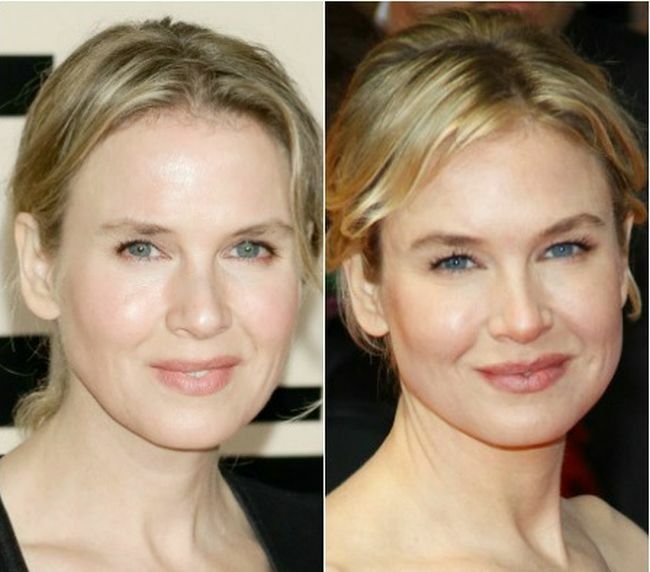 Recently, there have been many rumors about Renee Zellweger plastic surgery. When she appeared at Elle’s Women in Hollywood Awards on October 20 2014, many people stated that she looked drastically different or utterly unrecognizable. 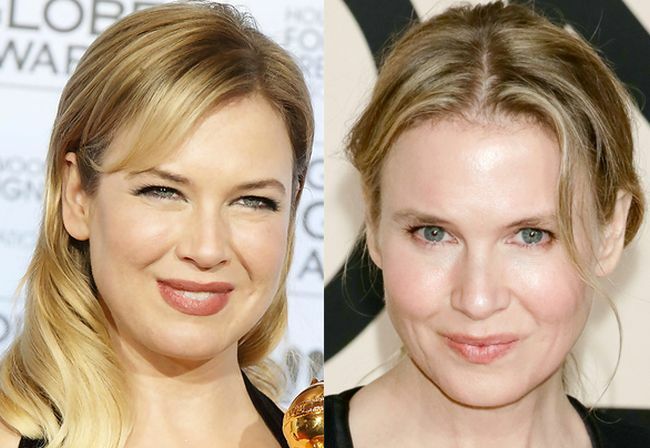 Zellweger has responded to the statements that people have made about her appearance. She has admitted that she looks different and is glad about it. However, in an exclusive statement to People Magazine, she did not say that her looks have changed due to plastic surgery. Instead, she said that she looked different because she is happier and healthier than before. She has attributed her change of appearance to having a slower paced and healthier lifestyle and good relationship with her boyfriend, Doyle Bramhall II. 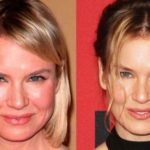 However, plastic surgeons like Dr. Stuart Linder who have not treated Zellweger are more comfortable about stating why her appearance has changed. 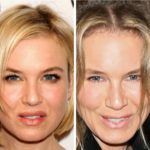 When speaking to Entertainment Online, Dr. Stuart Linder said that Zellweger has undergone some cosmetic procedures including Botox. 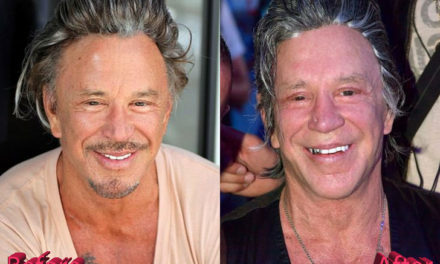 According to him, Botox and fillers have opened up Zellweger’s face and eyes. Her eyelids appear like they contain less fat and her eyebrows are positioned differently. 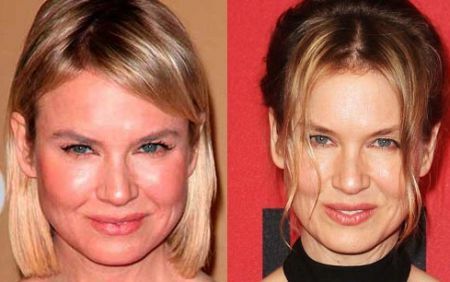 This suggests that Zellweger may have undergone an upper lid operation, which is referred to as a blepharoplasty. She may also have had fat under her lower eyelids removed. In her latest pictures, the position of her eyebrows has gone down and her eyelid crease is more prominent. 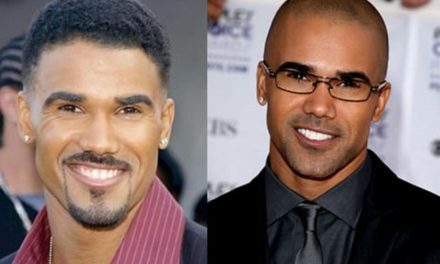 The other change that is evident in before and after photos of this actress is her jawline. Her jawline may have been made to look plumper by the injection of a cosmetic filler like Juvederm. Her cheeks also appear more prominent but she does not appear to have had implants or fillers into her cheekbones. 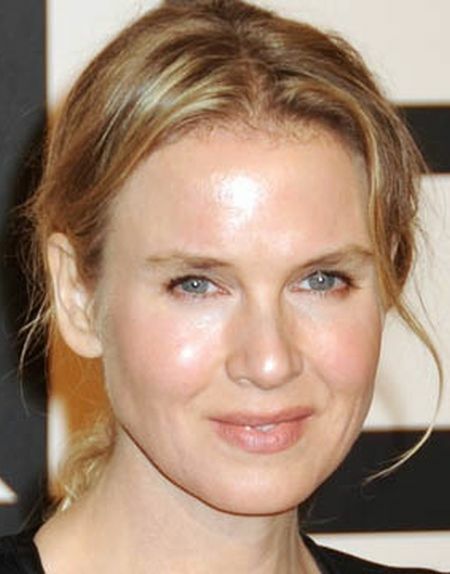 People also speculate that Renee Zellweger has had Botox because there are no wrinkles on her forehead. According to Dr. Linder, she may also have undergone both a neck lift and facelift. He says that her transformation is significant. 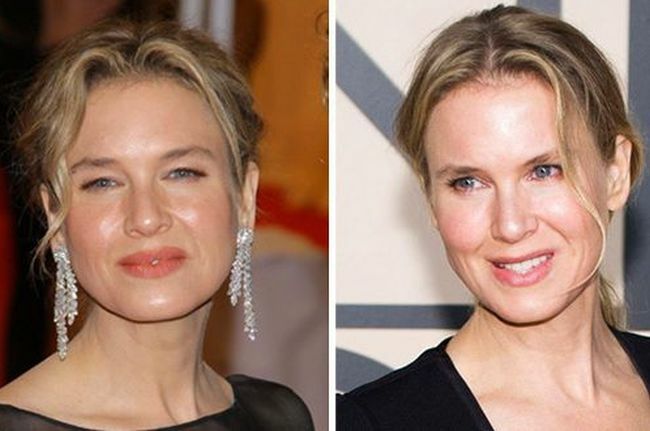 According to another board certified plastic surgeon, Dr. Brian Glatt, Zellweger does not look like she had a nose job, but she may have had a chin implant. 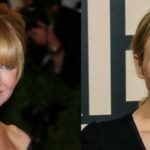 He says that even though weight loss can eliminate the appearance of a double chin, in Zellweger’s case, the chin is elongated and cannot be attributed to losing weight. 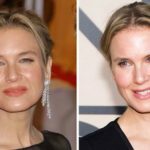 Therefore, Dr. Glatt concludes that Renee Zellweger has had a chin implant, which makes her chin appear attractive without making her jawline appear too masculine. 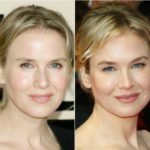 The other change that is apparent in the before and after pictures of this actress is that her skin appears more radiant. This indicates that she has been doing peels, facials and possibly laser treatments in order to maintain her perfect complexion. 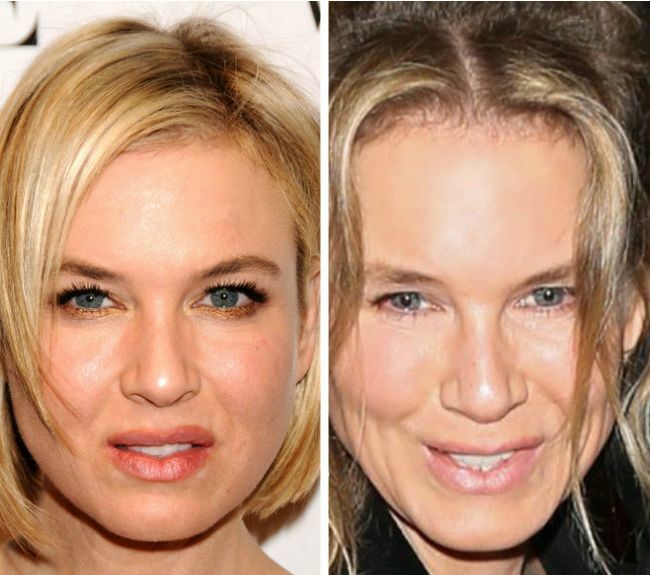 The rumors about Renee Zellweger plastic surgery are not baseless. It is highly possible that she has undergone several cosmetic procedures. 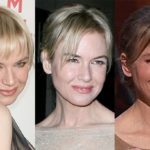 Regardless of the perceived superficial and physical changes, it is important to note that Renee Zellweger is personable, talented and well respected. PreviousTulisa plastic surgery before & after: how much has she had done?